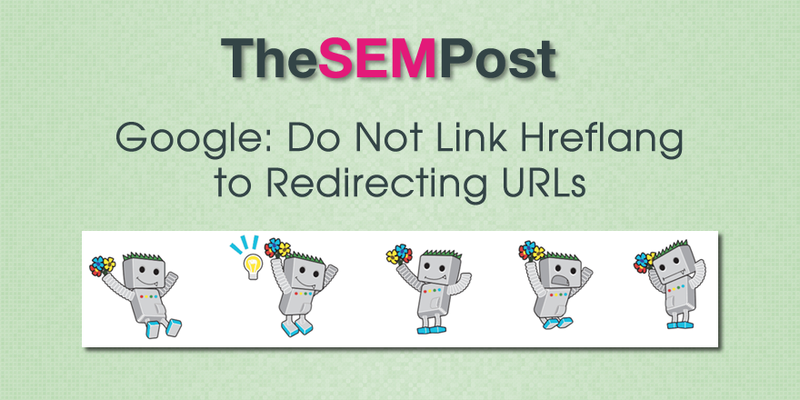 For sites that are using hreflang, especially those who are utilizing 301 and 302 redirects for any reason, it is a reminder that all hreflang URLs should not be linked to redirected URLs. The question came up to John Mueller on Twitter, where he reminds site owners that hreflang URLs should be the destination URLs not a redirect one. hreflang should be between the final URLs, not redirecting ones. But hreflang is something that some site owners still struggle to set up, but this particular issue is something that Google is flagging in Google Search Console, although perhaps not very clearly that the reason for the Hreflang errors is due to the URLs being redirected. So if you are doing a site redesign, for example, or even just redirecting pages for any reason, you need to ensure your hreflang is still linking to the actual URL for each language and not to a URL that is also being redirected.